Long before European settlement—perhaps thousands of years—the head of the lakes was home to several Native American tribes. By the time the land that is now Duluth opened for settlement, the Ojibwe had already forced the Dakota west and had established settlements at Spirit Island, Spirit Mountain, Indian Point, Rice’s Point, and Minnesota Point. According to archaeologists, ancestors of modern Ojibwe arrived in the Great Lakes region about A.D. 800. Legend states they came from the eastern seaboard, migrating along the Great Lakes to the western Lake Superior region, but the period of the journey is unknown. By the mid-1600s Ojibwe had established a village on Nekuk (“Otter”) Island in the St. Louis River about twenty miles upstream from Lake Superior at a place they called Wayekwaagichigamiing or “End of great body of water.” They maintained vegetable gardens on nearby Amik (“Beaver”) Island. The Ojibwe first contacted the French in 1622 and soon began participating in the fur trade. The French called the Ojibwe Chippewa and Wayekwaagichigamiing “Fond du Lac” or “Bottom of the Lake.” The Ojibwe were integral to the workings of the American Fur Post, directly across from Nekuk Island. During the post’s operation roughly 150 Ojibwe populated the island. Ojibwe and traders intermarried and shared a common cemetery. Traders learned to speak Ojibwe, and a few Ojibwe converted from their traditional Medewiwin faith to Christianity. Fond du Lac hosted three treaty signings. In 1679 Daniel Greysolon Sieur du Luht—Duluth’s namesake—gathered representatives of Ojibwe, Dakota, Cree, and Assiniboin and secured a peace that lasted over fifty years. The 1826 Treaty of Fond du Lac granted mineral rights within Ojibwe land to the U.S. The 1848 Treaty of Fond du Lac ceded land west of the Mississippi to the U.S. The 1854 Treaty of LaPointe opened Minnesota to settlement and established the Fond du Lac Reservation, 100,000 acres of land twenty miles west of Fond du Lac, as the home of the Fond du Lac Band of Lake Superior Chippewa. Fond du Lac Township, including Nekuk and Amik islands, was founded in 1856. While the local Ojibwe population declined, several families of mixed heritage—including the Roussains, Durfees, and LeGardes—remained in Fond du Lac. The 1854 treaty ceded all of what would become Duluth except for 682 acres negotiated by Chief Buffalo to serve as a reservation. He chose land in the heart of Duluth, known later as the “Buffalo Tract,” which included an existing Indian village and burial grounds on Rice’s Point that Chief Buffalo wanted to protect. But within two years Benjamin G. Armstrong wrestled the tract from Buffalo. The land was subdivided and sold time and time again, and no Ojibwe reservation developed in Duluth. 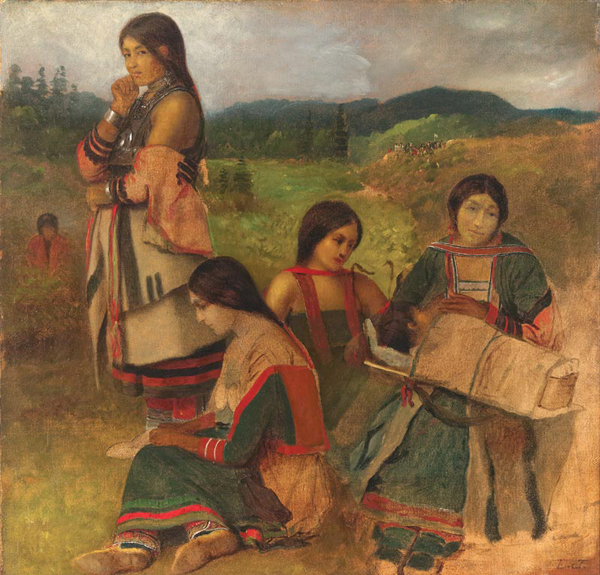 Until the late 1860s, more Ojibwe lived in Duluth than Europeans. As new settlers arrived, the natives were pushed aside. Although they lived peacefully among the settlers, the Ojibwe were often feared by those of European descent, an attitude fueled primarily by the media’s portrayal of Native Americans as savages. They were further marginalized by whites who refused to hire Native Americans for even the most basic labor. Instead they recruited European immigrants. The Ojibwe population declined dramatically over the years, as many relocated to reservations or became assimilated by marriage. 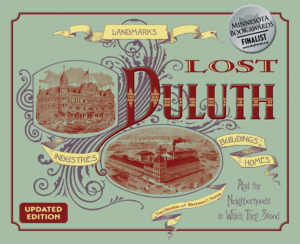 By 1928 Duluth held fewer than two-hundred Native Americans. That number would slowly increase, to 402 in 1960, 615 in 1970, 1,344 in 1980. The 2010 census showed 2,134 Native Americans living in Duluth.